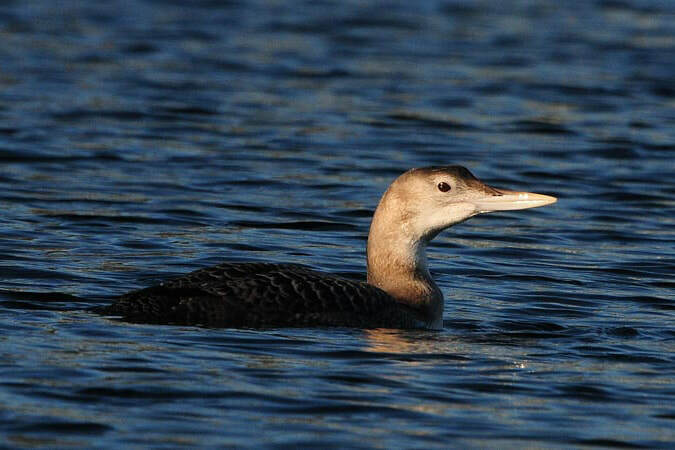 This bird is the largest member of the loon family, and can be identified by its distinctive straw-yellow bill that has a slightly upturned look. The base of the bill might be less obviously yellow (in juveniles and winter adults) but the yellow bill tip will always be distinct. Winter and juvenile plumage consists of an overall brownish colour with a white throat and neck. Summer breeding plumage, which first appears in three-year-old adults, consists of a black back, wings, head and neck, marked by a white collar and white patterning on the wings. 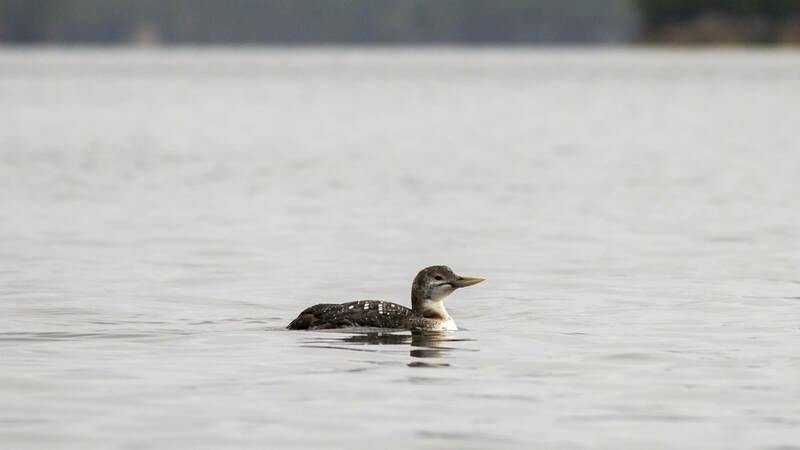 The yellow-billed loon inhabits inshore, sheltered waters along the BC and Alaska coastlines; it is rarely found south of BC. Sightings of this species along the Central Coast are relatively rare. Its summer breeding habitat mainly consists of freshwater lakes and rivers in the Arctic tundra. See BirdLife International for a range map and further species information; also visit Audubon Birds for more information. BirdLife International (2015) Species factsheet: Gavia adamsii. Accessed 15/01/2015. Dunn, J. L. and Alderfer, J. (Eds.). (2011). National Geographic Field Guide to the Birds of North America. (6th Ed.). Washington, D.C.: National Geographic Society. Pp. 70-71. Gavia adamsii (Gray, 1859). In Klinkenberg, Brian. (Ed.). E-Flora BC: Electronic Atlas of the Plants of British Columbia. Lab for Advanced Spatial Analysis, Department of Geography, University of British Columbia, Vancouver. Accessed 15/01/2015. Kelly Fretwell, Ian Cruickshank, and Brian Starzomski (2015).